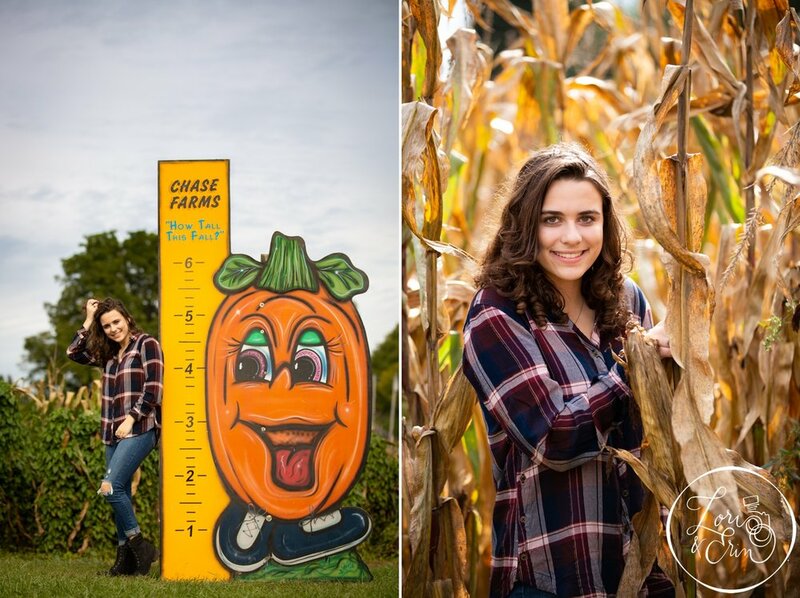 Savannah loves all things fall… so we headed to Chase Farms for her senior portraits. The pumpkins and corn stalks were the perfect setting. It was a windy day, but Savannah took it all in stride! We made a couple other stops including this abandoned greenhouse down the street - which she rocked with that jacket. We finished up at the Fairport High School track, where she has spent many hours. A double jump gets her pumped before each race, so we made it look like she could jump over the trees! Thanks for the adventure, and enjoy the photos Savannah! Attention Class of 2020 - Early Bird Specials available for your Senior Portraits! The daughter of filmmakers, Lori may have been predestined for a life in the creative world. She met her husband, John, while studying photography at RIT. When not creating heirlooms for her friends, family, and clients, she can usually be found in the woods or on a yoga mat. Either way, her dogs Molley and Mouse are never far away.